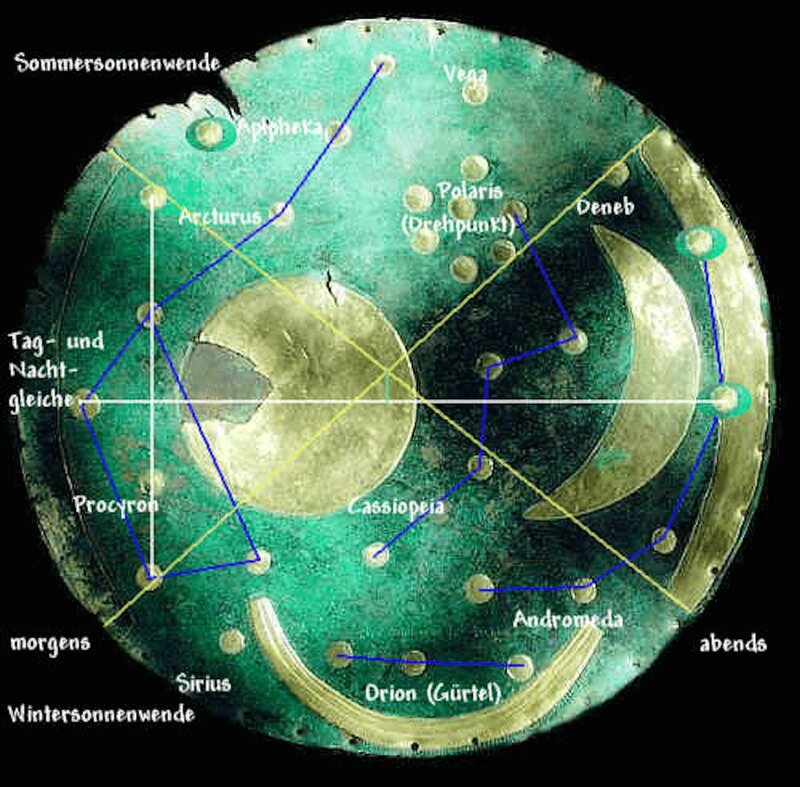 Discovered in 1999, the European Bronze Age astronomical artifact known as the Nebra Sky Disc was nearly lost to the black market, but fortunately found itself in the hands of the scientific community. It is now on display at the State Museum of Prehistory in Halle, Germany. Dated to circa 1600 BCE, the bronze and gold-emblazoned disc contains a graphical representation of the sun, moon, and the constellations Andromeda and Cassiopeia, among other celestial objects of agricultural and calendrical importance, including the Pleiades. The astronomical sophistication it demonstrates is remarkable. Astronomer Ralph Hansen has determined that the disc served to coordinate the solar and lunar cycles for agricultural purposes. In 2013, the Nebra sky disc was added to UNESCO’s ‘Memory of the World’ Register.